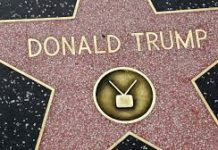 “What you have to understand about Trump, first of all, is that he’s a performance artist, not a politician,” explained filmmaker Michael Moore (one of the first public figures to predict Trump’s election). In recent months, considerable attention has been given the President’s apparent distain of reality or what some nominally call “truth.” But maybe its time to look at Trump’s “creative” approach to factuality in a different way. Say what you will about The Donald, his ability to get public attention is astonishing. And while some critics question the President’s grasp of “reality,” others see a calculated shrewdness in his behavior––an underlying strategy not unlike what Naomi Klein discussed in The Shock Doctrine. Is this veteran huckster simply putting on an act? After all, aren’t all politicians “performers” in some sense of the term? You would expect that in an age of media spectacle most Americans are accustomed to this idea. The problem is that many still yearn for authenticity in their leaders’ words and deeds. Hungering for a vision of a better world, voters will cast aside doubts about a candidate’s claims and promises––only to be disappointed when reality sets in. This partly explains why Americans have become cynical about democracy. One often hears laments for idealized past when “truth” prevailed, that it could be recognized it when it appeared, and that the concept informed America’s behavior in the world. In actuality, Americans (and their politicians) have always had a “creative” relationship with the truth. Might the President simply be taking this tradition to its logical end? Now obviously, America’s fearless leader might balk at these comparisons. And keep in mind that early Dada and Surrealism (as well as their 1960s revivals) patently opposed both capitalism and militarism. Yet while Trump’s brand of disruptive aesthetics lacks the utopianism of those movements, his antics indeed may have another precedent––in the proto-fascist Italian Futurist movement that emerged from Dada. In 1908, Filippo Tommaso Marinetti’s, “Futurist Manifesto” celebrated industry, speed, and technology with a rabid nationalism and a determined view of humanity’s triumph over nature. “They will crowd around us, panting with anguish and disappointment, and exasperated by our proud indefatigable courage, will hurl themselves forward to kill us, with all the more hatred as their hearts will be drunk with love and admiration for us,” Marinetti wrote. Rebelling against harmony and the niceties of “good taste,” the Futurists also valued intuition not unlike President Trump. And of course, the Futurist movement propelled the rise of Benito Mussolini––an authoritarian outsider whose populist appeal lay in his assault on establishment values. Propaganda was a key tool of the Italian Fascist regime, as it also was in pre-World War II Germany. Mussolini reveled in pageantry, expansive rhetoric, and an image of infallibility. The corporatist state was valorized over liberal democracy, with a heavy emphasis on military power. Mussolini repudiated immigrants and anything “foreign.” And in yet another eerie parallel to Trump, “Il Duce” was portrayed as a workaholic insomniac who was infallible in his judgements. A popular slogan of the time proclaimed “Mussolini is always right.” Journalistic accounts that contradicted the regime were condemned, with newspapers often confiscated. New outlets approved by Il Duce largely ran stories about rampant crime and “monsters” loose on the streets. As a former news editor himself, Mussolini eventually established his own Ministry of Popular Culture to manage public opinion, much like the Third Reich’s Ministry of Public Enlightenment and Propaganda. Trump Chief Strategist Steve Bannon often has cited the Reich Ministry as a source of technique and inspiration.